Today was our trip to Elitches. The plan was to visit there before school was finished to avoid waiting two hours in line for each ride. 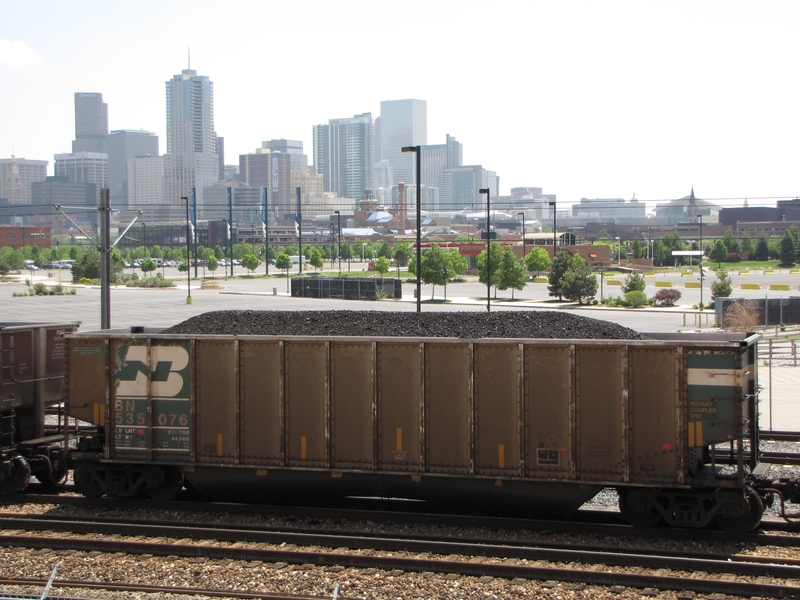 That was the plan…When we arrived at Elitch Gardens in downtown Denver we noticed a string of school busses. At first I was like “HUH”, but Krista informed me that during the last week some classes schedule a field trip. One look at the long line of school busses and I knew our plan was shot to hell. What ensued was a fun day filled with long waits, strange teenagers and sore feet. As far as rides go I hopped on a couple and was done for the day. Elitches normally has a good mix of people of all ages but today it was primarily screaming 13-16 year olds. 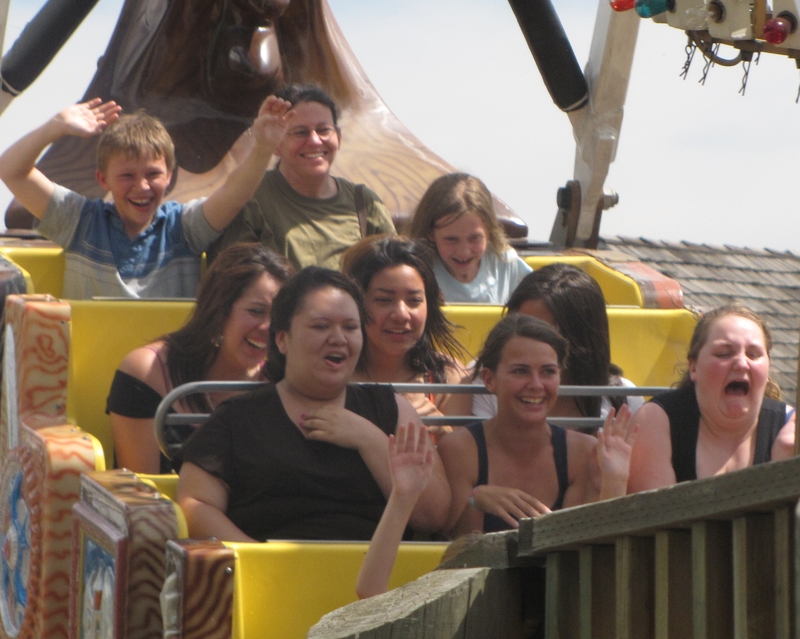 I did go on the wooden Roller coaster called the Twister 2…Here’s the video I shot of the ride. My video turned out much better this time. Hunter, Krista and Mylee on the Sea Dragon. 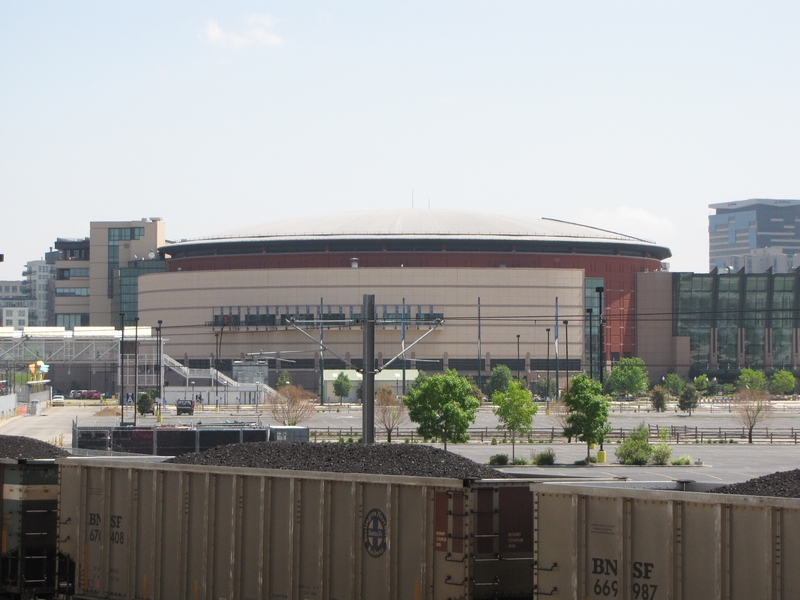 A few shots of Denver. By the time we escaped Elitches it was close to 4pm and we were fried…Mentally and physically. We still had a baseball game to attend. The plan was to head over for batting practice and see how things go. Hunter informed us as we were waiting in line at the BP gates that he would snag the first ball of the day and sure enough he did. He and Mylee were this first ones inside Coors Field and Hunter was quick and reached the outfield rail the same time as a player. That’s twice in a row for him. Krista shot the video and took all the pictures today. She does an excellent job I think. Mylee first ball was tossed up to her by Jason Hammel. Shortly after that I saw Hunter running after a ball that had been hit to the far right of the pavilion. Then I saw him celebrating holding up his arms . Hunter had just snagged his first BP homer. He’s probably snagged a hundred baseballs but all of them have been toss-ups from players or bobbled toss-ups he managed to scramble for. You are looking at one happy kid. He’s smooth like his dad :). *Note the fact that “The Devil Went Down To Georgia” was playing in the background…Too Cool. Here’s Hunter and another kid scrambling for a toss up. The other kid got it. 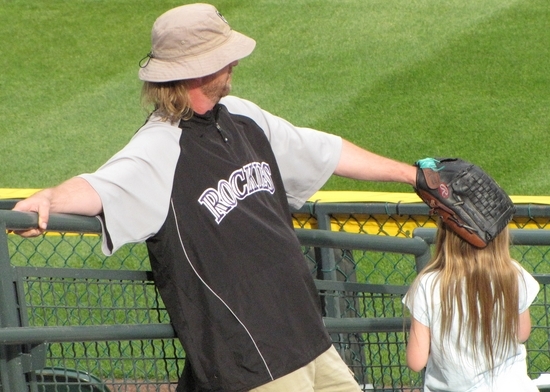 I had a chance at a ground rule double but it was deflected at the last second and the deflection knocked the ball out of my reach…No worries, she almost palmed it. 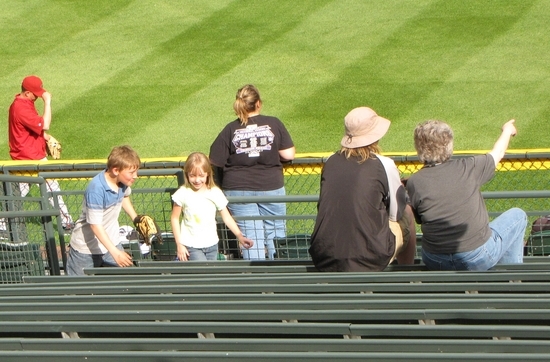 The kids decided they wanted to each give one of the baseballs they had snagged away. I thought that was a great idea. Here’s Hunter giving away a baseball. Here’s Mylee doing the same. Share the love, I’ve got great kids. Here’s Douglas bobbling one. Sorry Douglas next time I’ll post video of you catching one. Rant reader Queen Geri stopped by the pavilion and said hi. I had mentioned a few months back it might be cool to tour where she works in the uniforms/alterations dept. She stopped by to say I could take the tour anytime. Thank you Geri. 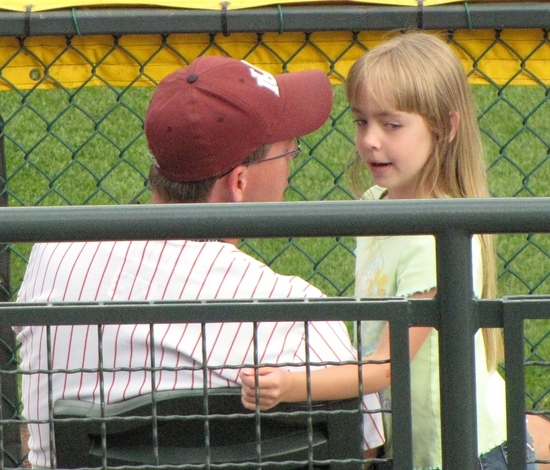 She also asked me if I knew that there was an MLB Authenticator at every baseball game. 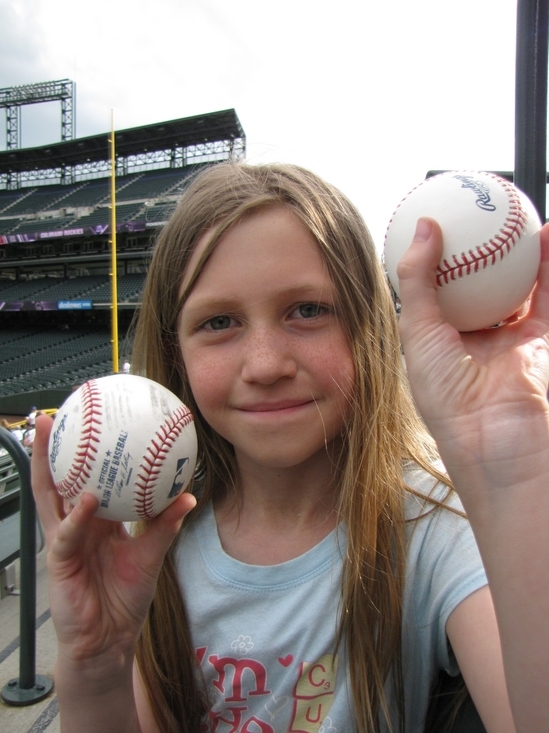 I told her that I did and that I had learned about it by reading Zack Hample’s blog. 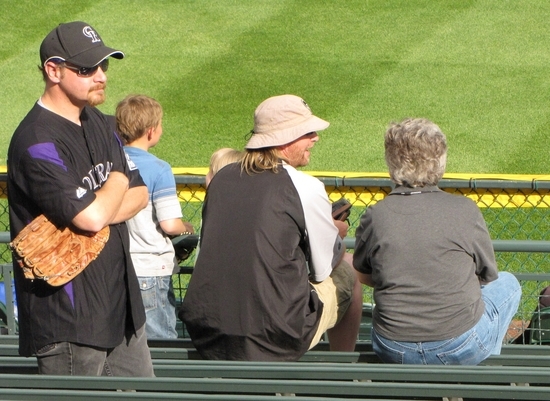 There may be a small chance of me getting to ask the MLB Authenticator at Coors Field a few questions. If you could ask an MLB Authenticator any question. What would you ask? Hunter and Emily having fun. Two of Myee’s three. Tom enjoying an up front and personal batting practice. By the time batting practice was done we were too. We packed up, headed home and watched the game on TV. Sounds crazy but we only paid six bucks for tickets. Great pics, and sounds like a great way to officially kick off the summer. You know, when Tim and I finally make it to Denver (whenever that is), I feel like I’ll already know everyone in the outfield. You guys really seem to have a nice little community at the ballpark. Very cool. I noticed the Devil Goes Down to GA and thought that was pretty sweet before I saw your comment about it. Cool, man. 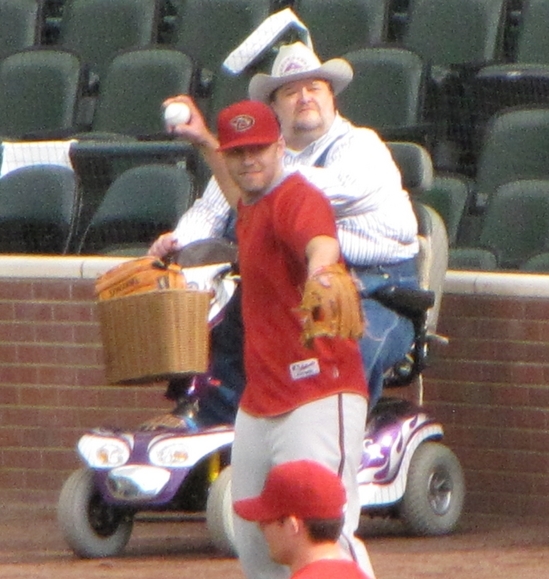 Great fun D. I am incredibly jealous of all the BP baseballs. And six bucks to get in? Can’t wait to get back to Denver. Ever year when the Rays pop out their promotional calendar, I always circle in RED the days they give out the classic “Thunderstixs”. Those days have come to symbolize the masses of Park and Recreation busses pulling into Tropicana Field and the highly fueled sugar rush from cotton candy and soda of kids from 6 -to- 16 filling the stands all hitting themselves with the blow-up swords. Of course the items are made for cheering, but they have made most of the regular fans head for the hills on those days, or give tickets to people they really do not like too much….or they would have told them what was waiting for them that afternoon. But in the end, it is the kids who leave with smiles and the experience of baseball…..So it can’t be all bad unless you are Royals starter Zack grienke, then it just seems so carnivalish. LUVMYROX-I’m due to run into you one of these games :). M-Best bargain in Baseball I think. RAYSREN-Great choice of words”Carnivalilsh” and “Head for the hills” I love it.. As long as the kids have fun it’s all good right?